Thank you for submitting your form that directs an email to you about your purchase, or subscribes you to a email series, or connects you to our email list. We appreciate your taking that extra step. Though we would hate to see you go, be assured you can easily unsubscribe at any time. 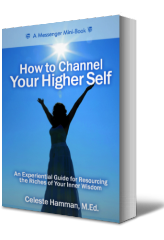 If you do not receive an email about your purchase within the next few hours, please check your spam and/or junk mail folder first, then contact us at information@channelyourhigherself.com. Also please whitelist, or approve, the following domains: channelyourhigherself.com, mcssl.com and priorityoneemail.com, to be sure you continue to receive messages from us.